Cinco de Mayo is a day that not only commemorates the 1862 Battle of Puebla and the defeat against the French but also the rich Mexican-American heritage in the United States. 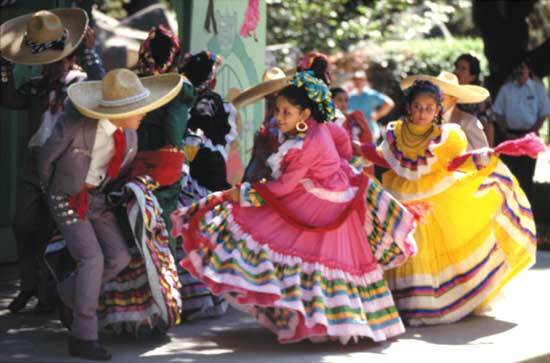 The rich ethnic influences of Mexico have greatly shaped American culture in the arts, cuisine, and sports. Margaritas, tacos, salsa and celebrity icons like Jessica Alba and Salma Hayek are just a few things that come to mind when one thinks of Mexican culture. If your traveling around the U.S., take some time to visit these historic museums that showcase Mexican culture. There are many fiesta events dedicated to celebrating Cinco de Mayo on Saturday, May 5th, 2012. Be sure to join in the festivities! The Cinco de Mayo street festival will start outside Grand Central Terminal (43rd Street between Lexington and 3rd Avenue). There will be restaurants with their own meal and drink specials. Want to break the Guinness World Record? The Portland Guadalajara Sister City Association will attempt to break the record for the "Largest Gathering of People Wearing Sombreros." Be sure to arrive before 5:30pm at the San Antonio Waterfront to participate. The official event will start at 6pm and hats will be provided.